A featherweight backup for when your lamp/light fails, and a handy gadget to keep in your pocket for days you get to camp late and haven't unpacked your primary headlamp. It won’t light up the world but will get the job done. 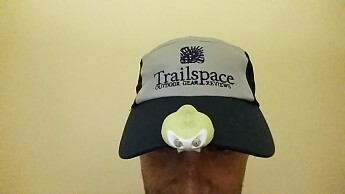 I picked up the Amphipod Swift Cap Light on a whim to throw in my pocket on short trips where I don’t really need a full backup light or extra batteries. 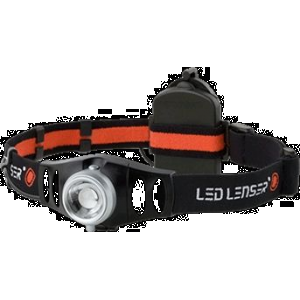 At a half ounce, it is a handy gadget to keep around during those times when you are not sure you will really need a light or to pop out of a pocket when you are pushing daylight but haven’t unpacked your headlamp or flashlight yet. It's bright enough to get camp set up or do some minimal hiking, but I wouldn’t rely on it for more than that. 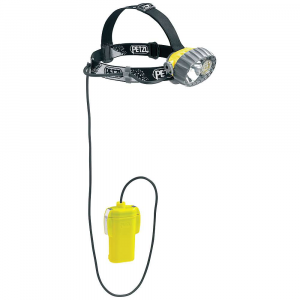 I used the Swift Cap Light on several backpacking trips and other hikes in above freezing weather. Primary use was around camp at dusk, and setting up camp before unpacking my headlamp. I also used it for early morning wanderings around camp when the sun was not quire up but there was enough light not to keep my headlamp on. Other testing was done in the backyard to test the light vs others. Unfortunately I have not had the chance to test this in significant rainfall yet although it has held up fine in a couple of showers. First it should be clearly stated that Amphipod does not market the Swift Cap Light as a backpacking or hiking product. It seems to be targeted at runners. I am not evaluating the product for its primary purpose, and any negatives listed below are as it was used for backpacking. 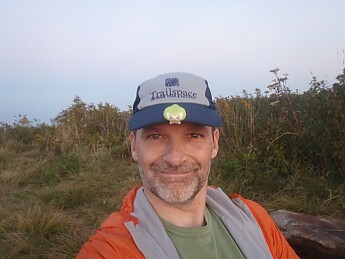 It looks like a nice little light for runners as well…if you wear a runners cap like this one! This should not be your primary light for an extended backpacking trip. It is not as bright as most headlamps and flashlights, and in my opinion should not be used for night hiking. Running may be different due to the smooth ground surface, but on rough trails I wouldn’t suggest using this as your primary light source. I purchased it during a re-evaluation of my gear list and realized that extra batteries on a short trip are (1) relatively useless if you have fresh batteries in your primary light and (2) don’t address a failure in the primary light except battery replacement. Therefore, I was looking for an extremely low weight backup light that would suffice in an emergency if my primary light failed. 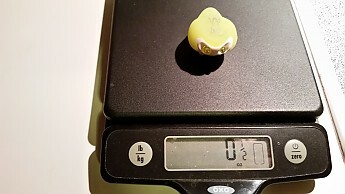 The Swift Clip does the job and is almost weightless at a half ounce. In fact, it’s so easy to carry I just pop it in my pocket and it is handy when needed. 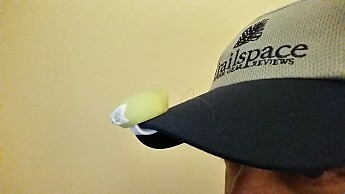 The Swift Cap Light is so light it is easy to forget it is there until you take your cap off half way through the day. The half-ounce weight is virtually unnoticeable on the hat brim. 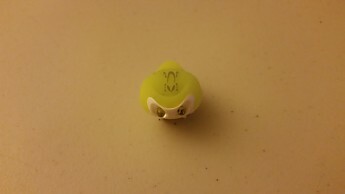 It grips on the bill of a ball cap well and doesn’t shift. 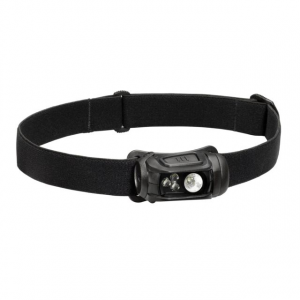 This light is so small and light it is easy to just carry in your pants or belt pocket. In fact, this may be best as packing it anywhere else and compressing it may turn on the light as it doesn’t have a lock-out mechanism. 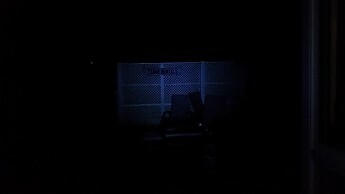 The beam is not great but does the job, as I only intended it as an emergency backup or transition light when unpacking. 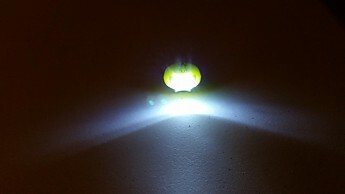 The two LED bulbs produce limited but functional light – Amphipod suggests this is around 10 lumens (based on Q&A on a website but nothing official). Obviously nowhere near the capabilities of a solid headlamp, but again the purpose of this light is different. There is no focus adjustment so you get a range of about 15 by 15 feet well lit. Here is a comparison of the Swift to a Princeton Tec headlamp, which I would not rate as one of the best for brightness, and a UCO A-120 headlamp (untested by me yet but seems to have excellent potential). 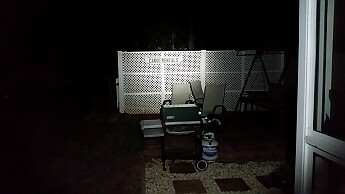 The following photos were taken from a distance of about 30 feet from a PVC fence for reference. These photos were taken on my cell phone, and don't reflect the true amount of light, but you can still see the comparative differences. 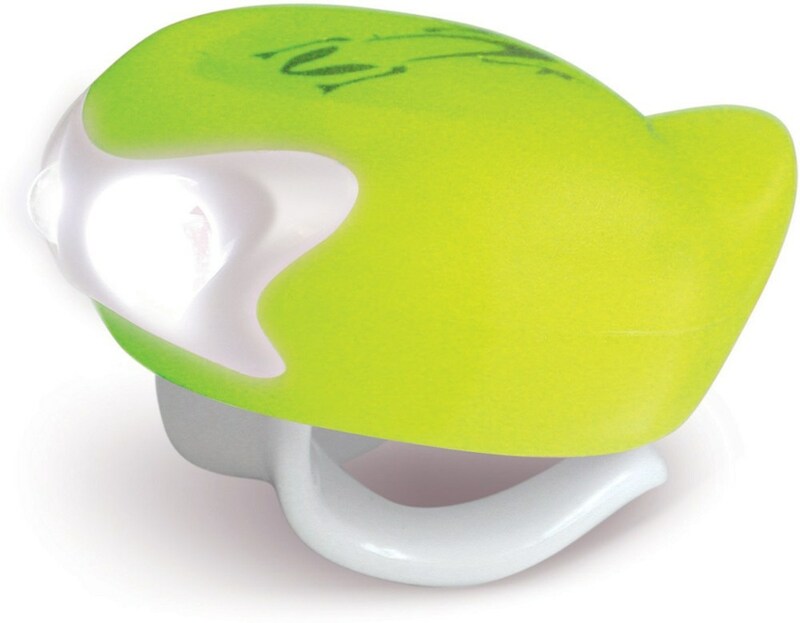 Using the Swift Cap Light is a snap with a simple one touch compression on the top to turn it on. 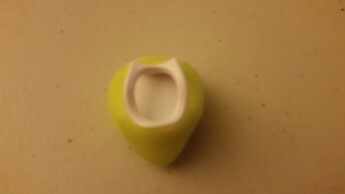 The rubber casing is easy to grip and I can turn it on and off with a thumb and forefinger. Unfortunately for those not road running, you have to cycle through a slightly annoying strobe light to turn back off but it only lasts for a second. 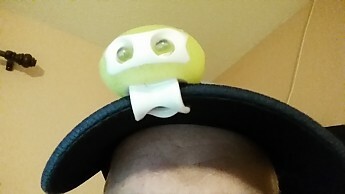 The Swift Cap Light seems to be made of sturdy plastic with a soft rubber upper that snaps over the plastic base that holds the batteries and other parts. It is a simple construction that has limited potential for failure. 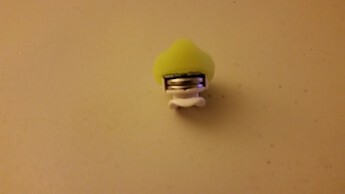 The rubber top seems to stay in place and create a light seal around the bottom of the light, but I am not sure it could be considered watertight. It has done fine in a couple of showers but I have not experienced a solid day of rain while carrying this. 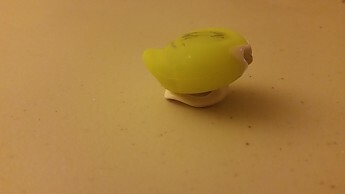 In the photo below the rubber top has been raised as if to replace the batteries. The Swift takes 2 CR2032 “coin” batteries. So far I have run the light for at least 4 hours with no visible dimming — more than enough for my intended purpose as an emergency backup or short duration convenience light. Time will tell if this light will hold up to abuse on the trail, but so far so good on several trips. For the price and weight it is almost a no-brainer for me to throw it in rather than extra batteries. It probably won’t do for longer expeditions and I need to test it through the winter and in steady rain to see if it will hold up, but it will live in my hip belt pocket, or on my Trailspace cap, for the foreseeable future. Nice cap, Phil, and thanks for the review! 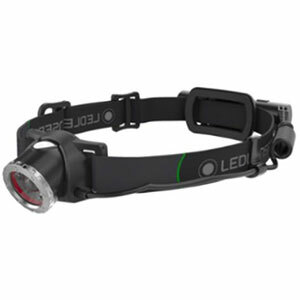 As a runner, I was curious to see how the company is marketing this little light. 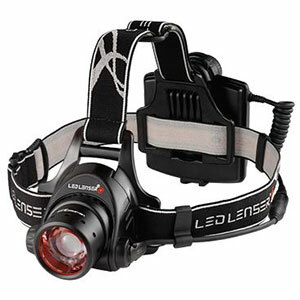 At an estimated 10 lumens, it sounds like it would work for road runners who need just a little bit of extra light at the start or end of a run and also to make them more visible to cars. That'd be about the right use for this I think. With the strobe option I assume it is primarily for safety. At that weight, I doubt you would even notice 2 of them on the cap. 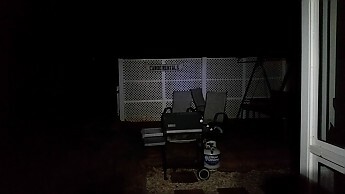 As of last night I now use it as additional light to check how my grilling is going with the darker nights coming early. Great review of a nifty little light, Phil! Thanks for sharing!